The California Framed Note - Embossed and its colorful, thick paper choices have been a hit for years. 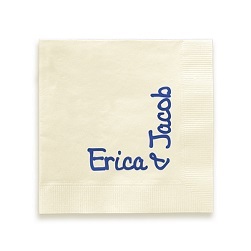 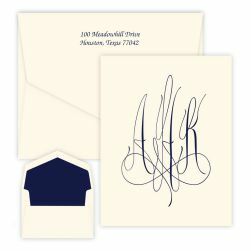 Choose from 10 lettering styles and 5 paper colors. 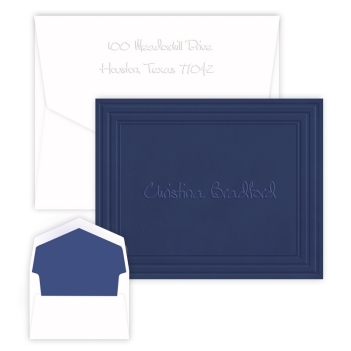 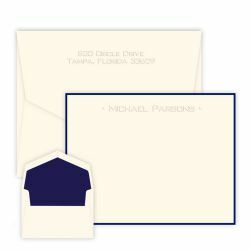 We'll expertly emboss the framed border and your one line of personalization into the foldover note color of your choice.